THE DAVID M. RUBENSTEIN VISITOR CENTER stands as a beautiful gateway to Jefferson’s timeless Monticello. Located on the lower slope of Monticello mountain, the center is comprised of five pavilions situated around a central courtyard. The three-level, LEED Gold-certified, 42,000-square-foot center offers guests fresh perspectives on Monticello and the enduring significance of Jefferson’s life and ideas. Located in the heart of the David M. Rubenstein Visitor Center, the courtyard is a graceful complement to the Monticello house and grounds. Modern, natural design elements define the courtyard, which is available for evening events. 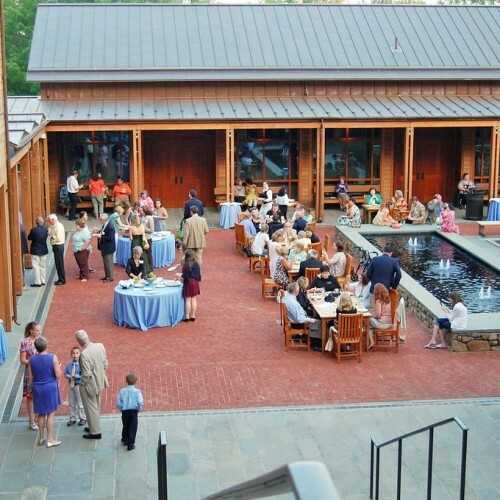 The Courtyard can be tented and heated and is an ideal gathering space for larger groups. Available for after-hours private viewings, the Robert H. and Clarice Smith Gallery houses four innovative exhibitions offering Monticello visitors fresh perspectives on Thomas Jefferson’s ideas and on Monticello. Using the latest in modern interactive technologies, the exhibits present the famous words of Jefferson, the art and architecture of Monticello, and Jeffersonian ideals. 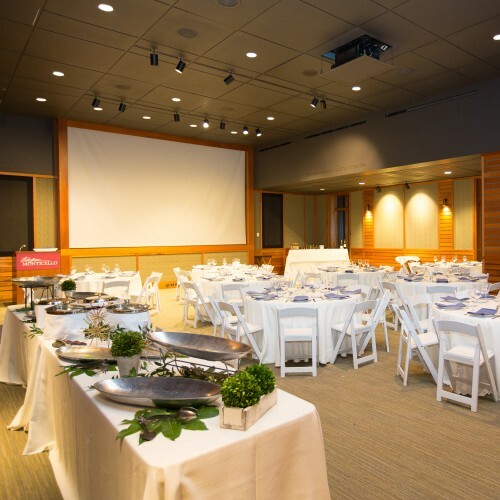 The Milstein Theater, located directly off the courtyard, features state-of-the-art audio and video equipment, and is ideally suited for talks, receptions, and dinners. The theater is often used in conjunction with the courtyard for evening events to accommodate larger groups. The theater is also available for after-hours private viewings of the introductory film Thomas Jefferson’s World, which describes Monticello’s central importance to Jefferson’s life and work, emphasizes Jefferson’s consequential accomplishments and his core ideas about human liberty. Perfect for lectures and meetings, the Carl and Hunter Smith Education Center contains three multi-purpose classrooms. Fully equipped with state-of-the-art audio and video equipment, the classrooms are ideal for hosting workshops, lectures, board and business meetings, and luncheons.